We are blessed to have some of the best volunteers anywhere! Each summer, young people from across North America give their time and talents to help make each week of summer camp amazing. We train, encourage, and support the staff who stay in the cabins, lead games, supervise the waterfront, and a million other things. All volunteers are carefully screened, including background checks, to insure we have great people. Each cabin has at least two leaders. We provide careful training for everything from homesickness to sleep walking to bullying. Team captains lead games and activities all throughout the day. They cheer on the campers and help manage any issues that arise while playing. Each day campers pick different activities to try. Rock climbing, canoeing, archery, and paintball are some of the places you'll find leaders who are trained and ready. Camp staff LOVE to have fun! Whether it's doing a crazy skit, sharing memorable moments, telling stories in the cabins, or just goofing off, these leaders are awesome! Our staff care deeply about your camper. Almost all of our staff are volunteers which means they are here because they want to make a difference in your camper's life. Your camper will remember their leaders for a long, long time. Decades later, campers can still recall how much their leaders cared. 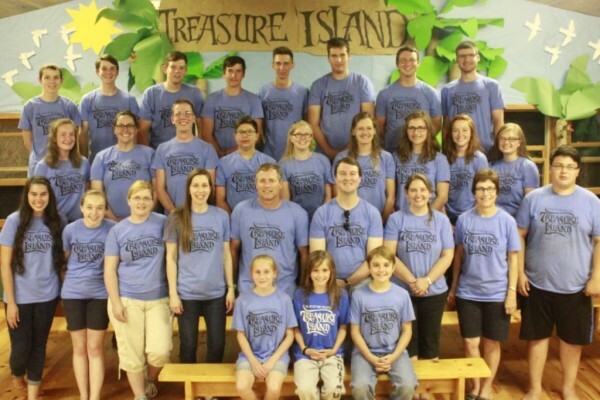 Our summer staff help change lives!